This dad definitely knows how to perform under pressure—he tied his baby's umbilical cord with a shoelace after his wife gave birth in their car. But what should you do if you find yourself in a similar situation? Georgina Doherty's baby was overdue by 13 days—but when she was finally ready to come, the baby wasn't about to wait for anything. Georgina's labor progressed rapidly while she and her husband, Paul Doherty, were on the way to the hospital, and the couple did what needed to be done: They welcomed their baby on the side of the road. Paul stayed on the phone with emergency services and was able to successfully deliver the couple's baby and catch the infant in his hands. But the work wasn't done after the baby made her way out—the couple still had to deal with the matter of the umbilical cord. "I gave her to Georgina and she started crying. Then they just said keep them both warm, we're going to get you to tie something round the umbilical cord," Paul told BBC News. "I had to take off my shoelace, it was the only thing I had in the car." This dad's quick thinking skills are undeniable. 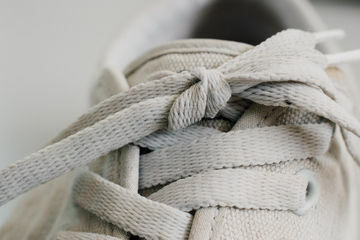 Between the stress of delivering a baby in a less than ideal circumstances, the emotional overhaul of welcoming your own child, and the, shall we say, messiness of having someone give birth in a car, it's pretty amazing that he was able to think outside the box enough to Macgyver his way to a solution with the shoelaces. But, since there's a real—albeit extremely rare—possibility that you may find yourself in a similar situation (unable to wait till you reach the hospital to give birth) we wondered—what's the best way for someone to handle a roadside delivery like this? We spoke to OB/GYN Nicole Salva, MD, to learn more about this sort of situation should be handled, especially where clamping of the umbilical cord is concerned. "The husband did a great job by recognizing to ask for help early," Dr. Salva told Fit Pregnancy. "In a delivery there are two people of concern—mother and baby—so it is difficult to handle the situation alone. Regarding clamping the umbilical cord, with the ambient tempurature, the wharton's jelly (the tissue surrounding the blood vessels of the umbilical cord) will swell, and the blood vessels will constrict, causing a natural clamp. He did not have to tie something around the cord. This would provide the benefit of delayed cord clamping (although there are some risks related to this) and avoid the use of nonsterile objects to clamp/cut the cord, which could increase the risk of neonatal infection. Ultimately, once help arrives or they reach the hospital, sterile instruments can be used to clamp and cut the cord. And, if the placenta has not yet delivered spontaneously trained professionals can deliver the placenta." Kudos to this calm-under-pressure dad for his grace under pressure!